Android ADB Fastboot is a quick and fast way of installing the Android Debug Bridge (ADB) on a Windows system. The application is ideal for accessing your Android filesystem and even perhaps enabling root on the device. 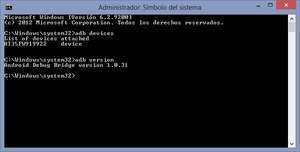 The application is an alternative to downloading and installing the entire Android SDK from Google, instead just providing a quick way of accessing your phone from the command prompt. Android ADB Fastbook installs quickly on the target system. For security reasons, you should also check out the Android ADB Fastboot download at LO4D.com which includes virus and malware tests. Additional screenshots of this application download may be available, too.